Anxiety disorders are common in virtually all cultures; however, accurately diagnosing them can be challenging. 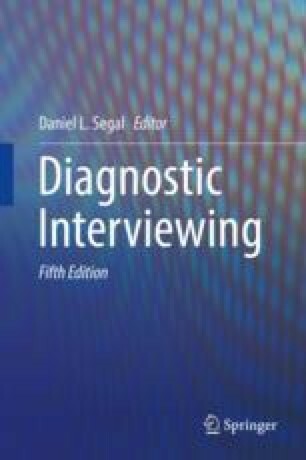 This chapter briefly describes each of the anxiety disorders categorized in the Diagnostic and Statistical Manual of Mental Disorders (DSM-5) and available diagnostic interviewing tools. The advantages and weaknesses of various interviewing and assessment strategies for anxiety disorders are discussed. Issues related to diversity, differential diagnosis, and other noteworthy diagnostic considerations are described to provide context for attending to individual differences and evaluating complex presentations. We also make recommendations for best practices when evaluating anxiety disorders.